Found my t shirt bra! I was shopping Nordstrom's anniversary sale and I came across this. I thought at first it was a La Femme style 853117 which it basically is except Nordstrom had them change the embroidery and called it their exclusive. I honestly didn't expect much, but when I put it on it ticked all the right boxes. Do I fill the cups? Check. Do the wires stay in my imf? Check. Comfortable? Check. Supportive? Check. Does it look good? Oh heck yes! I love that it's also a plunge, a plunge that's shaped more like my shape than others I've tried. Has enough projection at the bottom and center, and not a ton of room at the top. There is side support provided by denser foam in that area. The center pull straps stay on my narrow shoulders. And it was on sale! Is it the best bra I own? No, but it's great for it's intended purpose of being invisible under knits and enhancing my look under a low neckline. I couldn't ask for more. berexxa I hope it works out for you! Same as Wacoal La Femme Contour Bra, Nordstrom had them change the embroidery in the band and called it an exclusive. Fairly stretchy band. 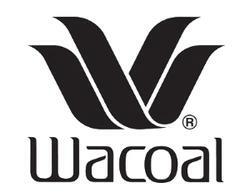 Often Wacoal feels tight in 34 on me, not this one. Moulded foam cups are fairly firm and seem to have sufficient depth for my I'm guessing average projection. The foam is firmer on the sides than the rest of the cups, so looking straight on, my breasts are within my silhouette. Good uplift, puts the girls high and up front. Bonus - it's a plunge! So I fulfilled my T shirt bra wish and plunge wish. I'm happy with this for having gotten it on sale.